This is a day that we got back to school work after having two sick days off. My toddler had a doctor’s appointment that involved numbing cream and a freezing cold cotton swab to continue to attack a wart on his ring finger that got bigger. We just couldn’t take him when his little sister was born – we were just trying to eat well and stay hydrated. This was after we lugged all our heavy bags to the playground next door, because I planned on homeschooling my kids there. Except when I called my doctor about the numbing cream, come to find out it needs an hour to sit on the boy’s finger, which means we had to leave the playground and go to the pharmacy. At the pharmacy, we learn about how the Lord helped Jephthah and how Jephthah had to kill his daughter to fulfill his oath to the Lord. Then at the pharmacy, the prescription hadn’t come over, and my toddler needed the toilet, so we had to leave with all our bags again to see the doctor’s office and use their toilet. By the time we got there, my toddler decided he didn’t need the toilet anymore. Then I had to go back next door to fill the prescription. Then come back to the doctor’s office so my toddler to be seen by the doctor. This is the story of how 1 stop became 5 small stops, much to my chagrin. At the doctor’s office my children learned about Samson, his riddle, and his betraying wife; his revenge on the Philistine’s using foxes tied together, and how he became a judge. Then we learned about temperate forests, and how deciduous forests are different from coniferous forests. The toddler then gets called back for his appointment. In the waiting room, I get my kindergartener started on his handwriting. He wrote 4 or 5 letters before the doctor arrived. You would have thought the doctor was cutting my toddler’s finger off, all before anything even touched my toddler’s finger. And this is the most gentle doctor I’ve ever taken my children to, and believe me, we’ve had some good doctors! I had to hand my baby off to a front desk lady, because my toddler was such a mess. This was not easy! The doctor gave my children peeps for good listening, even after my toddler was screaming bloody murder. Ewe. But they were both delighted. We go to get in the car. Lo and behold, I had to withhold the peep from the toddler because he didn’t listen to me in the parking lot. This ensures more screaming. Once home, my toddler refused to follow directions. That means, he wouldn’t carry his book-bag and walk into the house. I had to discipline him on the sidewalk four times before he decided he better listen to me. After that, my children wouldn’t eat their lunch. Lunch was a delicious homemade chicken soup. Come on now. I make chicken chili in the crock pot… which I’m thinking they are going to complain about later tonight, but I’m no short order cook. The toddler goes for quiet time. He comes out 5 times in 40 minutes. During this, I nurse the baby, and finish school work with the kindergartener. Why are we doing school until 2pm in the afternoon?! Oh, that’s right, because it’s our first day back after two days off, and we lost our sense of discipline and concentration. I lay down with grumpy toddler and the baby, and give grumpy toddler a bottle. He rejuvenates himself an is happy again. My kindergartener has quiet time now. He asked me no less than 5 times when his quiet time was over. I told him twice to stop asking me, and then the third time, I extended his quiet time. But I let him out early if he said some Bible verses with me about anger and self-control. I realized, though he’s learning to write cursive, he has a hard time reading it. Today I started writing verses about disobedience and obedience. These verses will benefit the whole family. I send the children outside to play. They play for 15 minutes or so. I let them see a show for a half hour. The neighbor brings over a delicious Tres Leche treat. I change and nurse the baby. I discover my other neighbor has a birthday today. We will make her a card. My kids are going to go back outside to play after they finish their treat. This is homeschooling some days. This is reality. The struggle is real. We’re almost to Christmas, and I haven’t done a formal review since October 12th. 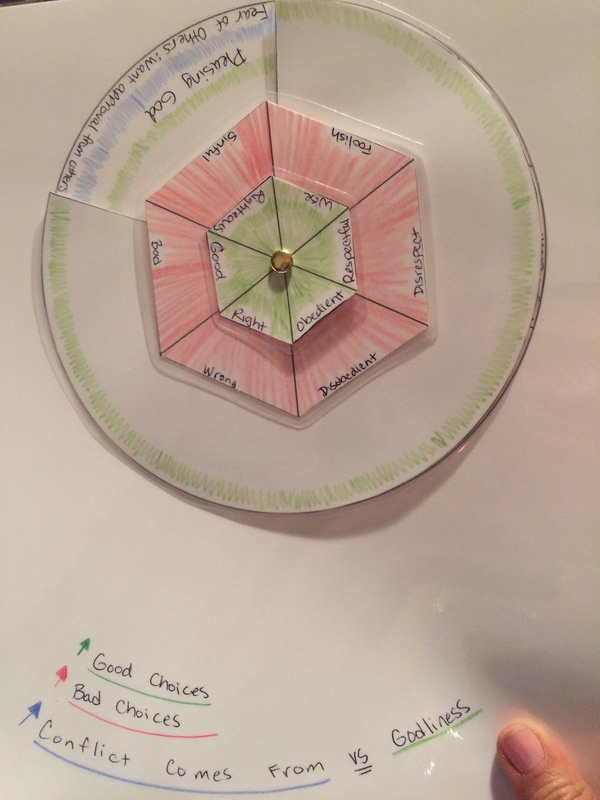 There are some questions I like to address as I do a review, so I thought I’d write them in this blog (a) for accountability, (b) so you have an example you can use too, (c) to get me ready before my big planning push in early January. Here’s a copy you can print of the pages I use. This is the first year I’ve invited other ladies to join me for a planning day. Since I need peace and quiet, and supplies at home, I’ll do the actual planning at home. However, I hope they’ll meet me for breakfast and lunch that day for chatting and camaraderie while my husband whisks the kids off to some fabulous adventure. Before I start this review, let me say some prefacing statements. I’ve enjoyed getting more and more pregnant this year, which is now making me tired as I run into the last leg of welcoming the baby. I am going to approach this assessment with grace for myself – I am not full of pride, nor do I have an inflated view of what we’ve done. I do my best to not compare myself to other moms who are homeschooling, and I hope you aren’t either. We’re almost 40% of the way into our school year! Woohoo! This is Micah’s “Transitional Kindergarten” year, because he started the year at 4, and will end when he’s 5.5. We’ve completed 69 homeschool days so far, and have 121 days left to go, if I’m trying to reach 180 days. Truth be told, I teach all summer too, so I don’t know why I’m counting. Probably just because I’m analytical about this, so I can quantify it for my own accountability. Let’s go with the assessment now. How well are we doing overall in our home? In homeschool itself, we are doing well. There are so many things I can do better but we are progressing in the main areas, so for that I’m grateful to God to have given us the persistence and discipline to keep moving forward. Some improvements I’ve made have been due to linking certain parts of our day. Other improvements I’ve made have been due to me following the rhythm of my children. Morning Bible, Devotion, Reading and Math before vitamins. Breaking when the kids get crazy for outside play time. Allowing myself the mercy of at-home days when I’m just plain tired, or when we’ve had an especially packed time the day before. How well am I meeting daily goals? We’ve taken 3 days off of homeschooling in the past 40 school days, and 3 of them were field trip days; however I’ve only written down notes for 20 of those days. How can you track what you can’t measure? I’d say the first 8 days of this assessment period I recorded our progress just fine, recording an average of about 90% of what I’d want to track. But after day 8, the majority of the days I just tracked the bare minimum, only writing about 10-25% of what we did that day. This is ridiculous because I have the tools already in place – but I’m a little tired right now – here’s what I do when I’m tired of schooling. Also, you could see this post about resetting and regrouping your homeschool year about this time last year. We’ve only done our memory verses 7 / 40 times – given how important this is, I’m most concerned about this. And I’d say we’re not praying consistently enough. We have been faithful however with our Morning Symposium, which is just daily Bible reading and devotion time. We need to do a better job in the areas of daily toy-pick-up-before-dad-gets-home, and helping with chores. The problem is I don’t consistently hold to a reward system. What progress am I seeing in the following areas? Bible. We were able to start The Children’s Bible on October 3rd (before this review period begins), and we are 51 stories into it, in a 50 day period. This is because Micah begs me for more each day. In 3 more stories we will be done with Genesis and get do start Exodus. My 2 year old doesn’t enjoy this older Bible as much. Ian and I decided we need to really get Kade’s Bible time in during his nap time every afternoon, since it’s much more on his level. Ian also continues to read a chapter from the Bible during dinnertime. We finished Revelation and moved onto Psalms, but for December, we’re taking a hiatus to work through the devotions in our advent book, “The Advent Jesse Tree: Devotions for Children and Adults to Prepare for the Coming of the Christ Child at Christmas“. I love this devotion book for Christmas, and Ian and I will read it long after the children are out of the nest – there’s a child’s portion and an adult’s portion of the book. We also started “Young Peacemakers” lessons on October 24th, and finally finished Lesson 1 twenty-eight lessons later. Remember, this is not about speed. Timeline. Micah continues to love his CC history timeline. We’re moving into week 13, so that means we’ve learned 91 “pegs”, or events on the timeline so far, starting with Creation. For this review period, in Cycle 2 of Classical Conversations, we’ve moved from weeks 7 to 12, which means we went from when Jesus was born to The Spanish Inquisition, so we’re into the Age of Exploration at this point. Last week, we did a big timeline review where Micah “competed” with Ian, and Micah was able to put all but about 4 cards in order for each week – we have a card for each peg. 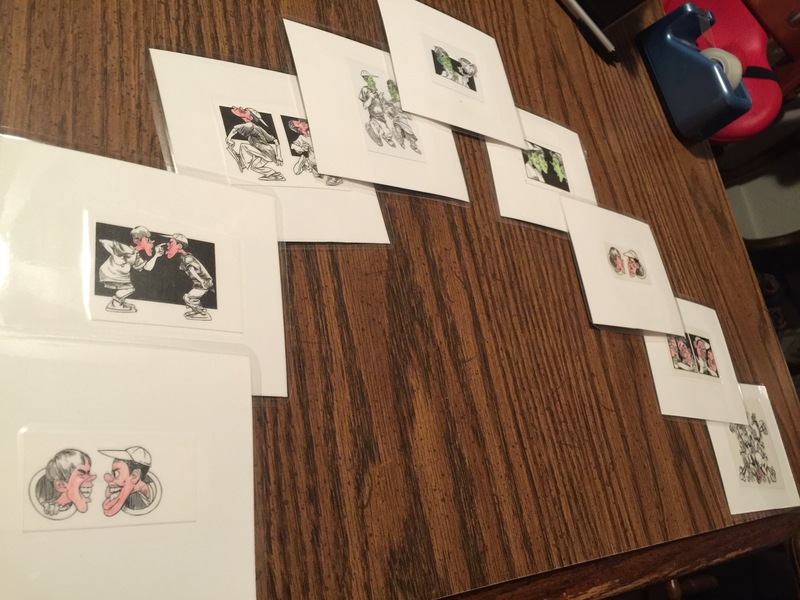 He can’t sing the Timeline song without help from start to finish (he loops back sometimes), but because we played the game I know he can recall the song if you put cards in front of him and use the song to get those cards in order. History. We’ve learned about the Reformation and the 95 theses, the French Revolution, the Magna Carta and the 100 years war, European explorers, Napoleon Bonaparte and General Wellington, and the Industrial Revolution. 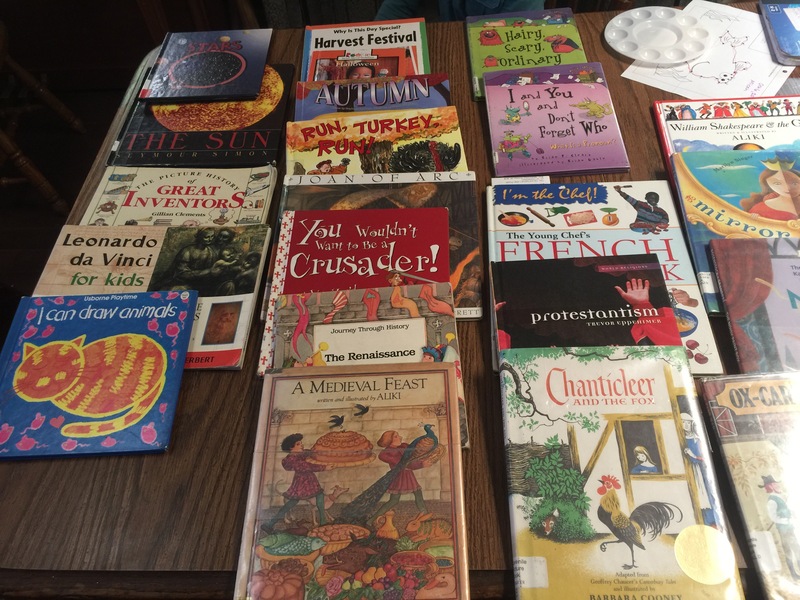 Since I do book hauls (here’s how, including what books I pulled for these weeks), Micah is not just learning random facts, but he’s reading a little bit about each topic – this goes for all topics, not just history. We’re also working our way through a social studies book called “My World”. I’ve only done 2 lessons in 40 days. Ideally, I would have liked to have done 8. English. English I’ve found to be a little more challenging this time, because in addition to some possessive adjectives (ok, not so hard), he’s working through a long list of pronouns that go from reflexive, interrogative, demonstrative, and indefinite – it’s the indefinite list that is indefinitely gruesome, even we have a cute song to help us remember them. I obviously haven’t found the right pneumonic for this. Science. Science has been awesome. 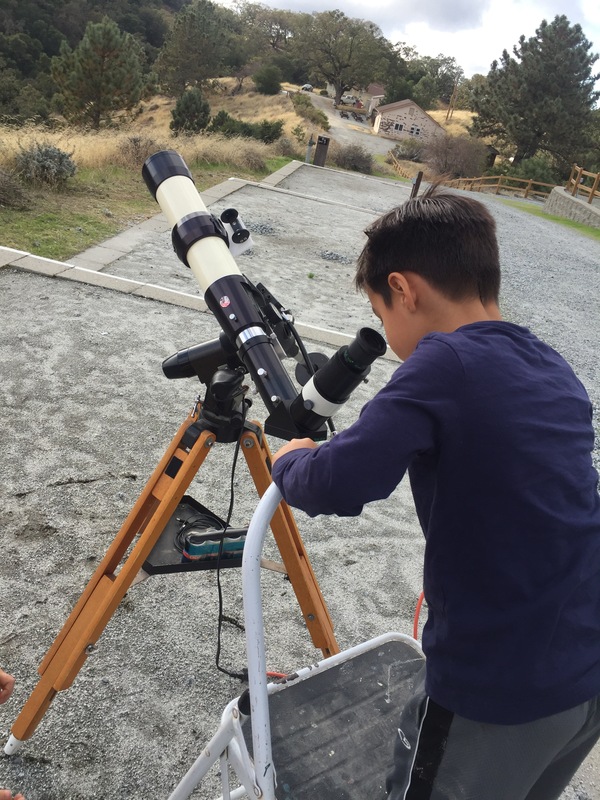 We love all things space, so Micah’s been able to learn quickly the kinds of stars, phases of the moon, parts of the sun, other bodies of the solar system, planets (we’ve known these for a long time) and U.S. space missions. The projects for science have been great and have ranged from making constellations, to launching rockets, to making a giant parking-lot sized proportionate model of our solar system. We also took a trip to a solar program this year, and that was amazingly fun. We also read Act One of “The Human Body Theater” which was all about the Skeletal System. This was fascinating for Micah since he likes bones. We will learn about muscles next, and some physics. We like physics in this house, so I don’t anticipate any issues here. Geography. In geography we’ve studied the European peninsulas and seas, Eastern Europe, the Mid-Atlantic World, the Caribbean, Southwest Asia. Next we’re going back to Northern Europe. I haven’t had Micah do much mapping by hand, though he watches me trace the map for the next week’s work each week – I put these traced map up on a learning board that we both use throughout the week. He’s mainly learned this through the CC cycle 2 App, which I have on our devices, and sometimes play it through Apple TV on our one and only television. Latin. Latin seems easy because we’re only doing 1st conjugation endings, and I have him listen to some Sing Song Latin Songs (but I never drill him on Sing Song Latin). He could use some work on remembering the tense and the first word for each tense. There are only 6 sets of these we have to learn this year, and we’re looping back through to the first set already. Math. Micah LOVES math. He sometimes opts to do more math than I have him set to do. We finished Kindergarten Book A in Singapore Math and he was elated. We started book B, and while this version is black and white, he doesn’t seem to care. He breezes through the pages. What’s tough for him is the writing part of it. As of now, we don’t do any formal handwriting, except for what appears in his math book. We will start handwriting this January, however. In Kindergarten Book A we covered matching, sorting, numbers up to 10, ordering numbers, shapes and patterns, comparing sets, and measurements. To be honest, this book was far too easy for him. I think that’s why he likes math though, and I like that he’s practicing his handwriting in such a low-demand way. Book B takes him from comparing numbers, to numbers up to 100, number bonds, addition and subtraction, more ordering, time, even and odd and fractions. Micah can count well past 100 by now, and can mostly do his skip counting from 1 to 15, and then by 100’s up to 1,000. He’s just starting to connect the dots that skip counting means multiplying. Micah can also add and subtract decently, but especially with manipulatives. His weakness is working too quickly, so I like the review in Singapore, and there’s not hurt in going over math until it’s second-hand nature, since it’s cumulative. We only did Abacus 1 day. However, Micah is thoroughly enjoying dot-to-dots and he loves mazes. And I love these because he’s also working his fine motor skills, or pre-writing skills. Reading. Reading is a big deal for us this review period. We did well here, and it’s the hardest part of Micah’s day because it takes the most focus on his part, and the most patience on my part. We started the Book It! Program and that has been very motivating to Micah, and a useful accountability tool for me. He’s earned his reward for 2 months in a row now, so he’s 2 for 2. We need to go get his Pizza from November and celebrate. We are two lessons from finishing “How to Teach Your Child to Read in 100 Easy Lessons.” This means on Tuesday we get to have a big celebratory ice-cream party! And believe me, I will be celebrating just as much as he will be! I ordered this book in October of 2014 when Micah was almost 3, but we started it at the tail end of Micah’s 3rd year. Before that we did lots of phonics games, and it was perfect. Now I’ve been met with the challenge of ‘what next???’. I got great recommendations from trusty, more experienced homeschool moms. I was generously given the “Spell to Write and Read” core books, and have done some digging myself. I decided that next we will (a) move onto easy readers at level 1 and 2 from the library, (b) start hand-writing very slowly, (c) review phonics, and (d) start spelling using the Spell to Write and Read. Funnix was a good program, but I spoke to a rep on the phone from Funnix, and it’s only computer-based. Micah’s just too young for required screen time in my opinion, and I sometimes see behavior whip-lash from screen time. I’d rather go with something that still allows us to cuddle up somewhere if we want. “Spell to Write and Read” is a complicated program to pick up. It requires a lot of pre-reading on my part. I purchased the amazing, wonderful, tremendously helpful “Uncovering the Logic of English” book and am reading that before starting back in “Spell to Write and Read”. There are 11 steps to complete before getting to “The Wise Guide for Spelling” which contains the actual lesson plans for this curriculum. I anticipate we will spend at least a solid 40 days practicing phonograms, playing phonogram games, reading easy readers, and learning correct cursive penmanship for the 26 letters and 0-9. What were our favorite field trips? We had three chances to feed the animals at Emma Prusch Farm Park – that’s a major draw! Each time we go, Ms. Lisa explains something different to us, and we observe new behavior about the animals. The last time we went we learned about some of the digestive needs of the goats, we helped her find a growth on one of the bunny’s eyes that needs attention, learned about how much care these animals need and how farm hands sanitize their dishes, and we watched how aggressive turkeys are around their food – yikes! We also loved Yosemite National Park in the snow – we built snowmen and had snowball fights! We adored the Fremont solar program, the Portola Redwood Forest, and the Monterey Bay Aquarium. 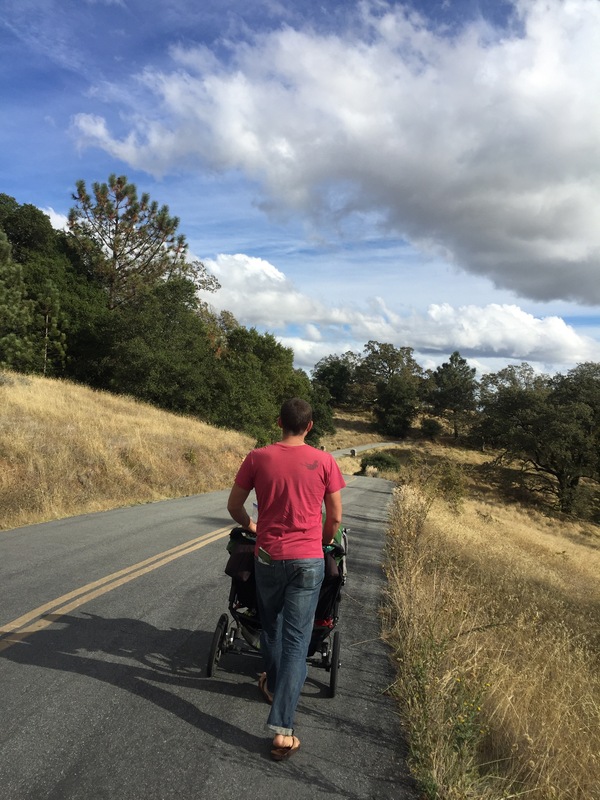 We tried camping at Uvas Canyon County Park and failed. Due to Rain. The first time it rained since we moved here. Noah was finishing his Arc next to our tent. That’s how much it was raining, so it seemed. But… we hiked and explored Rodeo Cove in the Marin Headlands, Coyote Point Recreation Area, Fort Funston, and Sanborn County Park. We played at many, many playgrounds around town. This time of year brings some seasonal fun too, like a visit to Spina Farms, the fall festival at church, birthday celebrations, and Christmas in the Park and a Walk Through Bethlehem. We did some focused outreach. Some of this outreach happened before this review period, but some leaked over into this review period. What was our favorite art or music lesson or topic? Someone should sound a fail alarm for music, because we only did one formal piano lesson in the last 40 days. We are still learning music theory, however, and he knows a relative amount of theory for someone so young. Micah’s picked up learning tin whistle, and can play Mary Had a Little Lamb, but I lament his lack of piano here. And I haven’t taught him more than the one song on tin whistle. 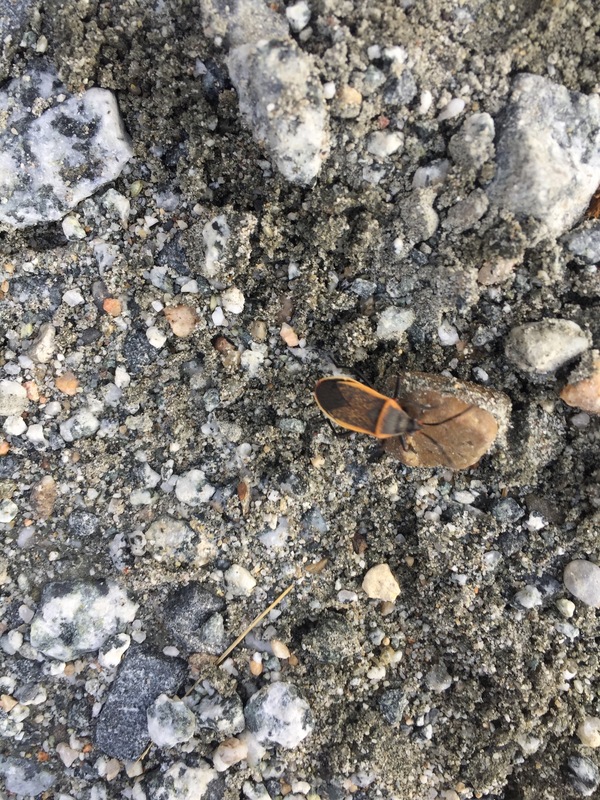 We haven’t found a piano teacher, and I need the accountability of someone else to teach him. Oh yea, grace for the season, right? At least he started learning a new instrument and likes it! In fact, the last six weeks have been all about tin whistle, music dynamics, rhythm, scale, and music symbols. I also made playlists for all 24 weeks of lessons, so he listens to rounds of various scripture to song, classical music, seasonal / holiday music, folk music, and classic kindergarten songs in addition to memory work. He’s moving into the age where he’s really beginning to enjoy drawing, so I purchased the Draw Write Now Book 1 and he’s enjoyed the lesson we tried. We are starting to move back into visual arts again in CC, so we’ve been looking at fine art together. I’m excited about the next 6 weeks of CC! We enjoyed some math art, and of course, holiday crafts and cooking too. Oh, and he tried a hip hop dance program at the YMCA and loved it! We need to go back! What were some of our favorite learning games? Micah’s favorite learning games, by far, include War, building a tower with Solo Cups, solo cup bowling, and solo cup CC-Pong. I’ve gotten lazy in offering him quality review time. Kade has not been napping! It’s exasperating. And I’m tired and need the down time being this pregnant. Grace for the season, right? Micah LOVES legos and spends a long time building new creations almost every day. What trends have we noticed in behavior for each child? Kade is fully in his two-year old stride. He’s ready to potty train, but I’m not ready to potty train him! And he requires consistent follow through, that I do what I say I’m going to do. Micah needs more patience with Kade and to learn to let me help Kade share, comply, or whatever the case may be. There is the normal brother teasing that happens every. single. day. So tiring. Micah does better in correction if I pull him in for a hug and a smile while I correct him. Sometimes this is not possible. What improvements in character have we seen in each child? I’m enjoying Kade’s “my turn” phase. He’s really wanting and trying to do everything himself! While this doesn’t have to do with character, it’s more developmental progress I want to recall. Micah is so sweet and compassionate about his baby sister and my pregnancy it’s just darling. And many times I find him helping his little brother, or talking sweetly, or recruiting to persuade him instead of force him to do something. It blesses me to see Micah have patience and discipline to finish hard things. We are benefiting from Peacemaker lessons! Abacus and manipulatives, math games, mazes and dot-to-dots. My World lessons. There are 6 units, and I’m on Unit 3 Lesson 4. Piano and music appreciation. Perhaps we should pay Ian what we used to pay his favorite teacher and make it a formal weekly lesson again so he structures his lessons. I did purchase music flashcards for Christmas so he will have fun using those. How well have we followed through in new ideas, investigations, and integrations? I’ve done a better job honoring God first with morning symposium than last review period – this is important to our family. We didn’t do as well with being consistent with scripture memory work, but we have done better in reading and math consistency. I noted last review period he needs more time with geography, the timeline, english review and manipulatives. I think I’ve done the best with the timeline, but the rest lag behind a bit. What answered prayers have we noted? There are so many answered prayers to list! God answered me about taking in the Support Representative position with CC. He’s been so clear to some specific questions I have for Him. 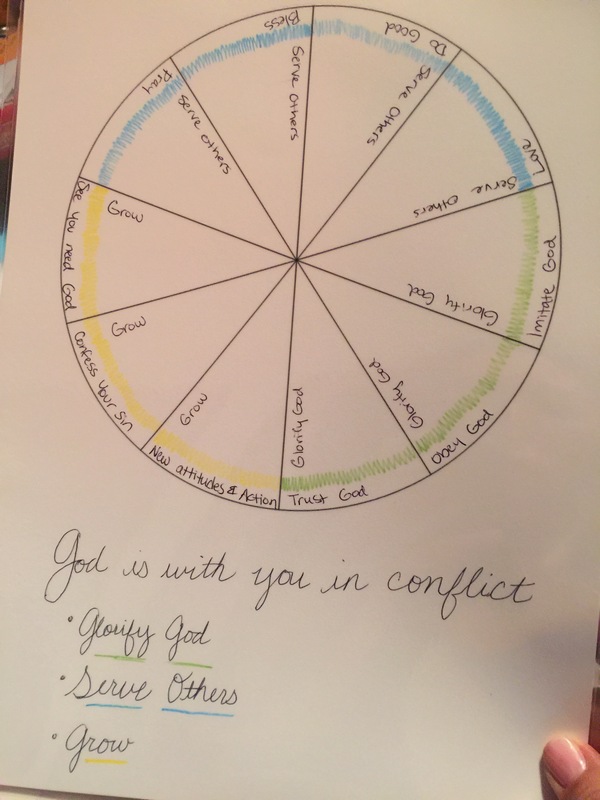 He’s given me peace and wisdom for homeschooling and parenting, and I notice a change in behavior when we pray throughout the day, but especially when we set the tone in the morning. What were some of the most memorable moments and victories this month? The biggest victories or memorable moments are probably finishing out his math book A, and seeing how excited he was to move up a level! I’m so glad he’s happy about this accomplishment. Kade’s language is really exploding into 3 and 4 word sentences. He can almost count to ten. He understands letters represent sounds on a page, and asks me to write his name all the time. He loves to tuck his animals into bed and says “here go” to them, and “aw” as he admires them. He loves to pray. He can do summersaults really well now, and is very brave climbing challenging structures on the playground. What were some biggest evidences in grace, mercy, faithfulness, protection and provision we noted? God is helping us budget better, or have more discipline. I’m understanding some hard lessons learned about stewardship and waiting on Him before I make decisions. I’ve learned about the topics of Grace and Righteousness, doing some deep dives myself. I’ve been really blessed by some women friends from church and CC! Surprise baby showers. Who would have thought? With regard to the SR position in CC, He’s rolling that right along too… and the biggest fruit from this is my listening, prayer, and new friendships forming. What insights, revelations and feedback have been impacting this month? Hmmm… probably how much more we should focus on our ‘frogs’: Worship time, prayer, Bible, and scripture memorization. Then everything else can come. I need to do a better job setting time-slots for work and honoring margin with the new SR position. I need to do a better job getting the boys to do chores. Less TV time even if I need to lay down. 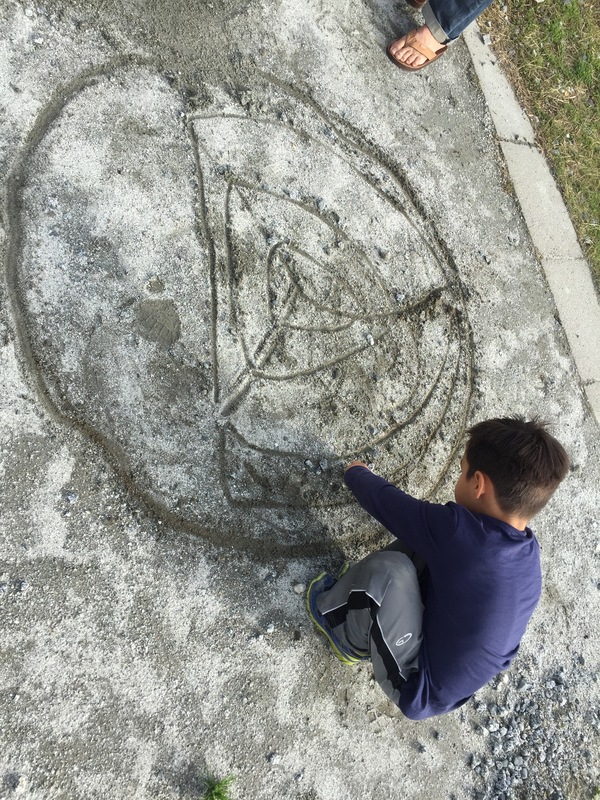 Be more creative with other quiet activities for the boys. Math – There are 151 more pages to cover the Kindergarten B book, so I expect this will take another 75 school days or so. Start Young Peacemakers Lesson 6. Start hand-writing and spelling, and phonics. I anticipate we will spend at least a solid 40 days practicing phonograms, playing phonogram games, reading easy readers, and learning correct cursive penmanship for the 26 letters and 0-9. Start The Properties of Ecosystems. There are 35 lessons. I’d like to do one a week. Start the Lives of the Scientists – there are 18 of them. I’d like to do one a week. My kids are 5 and 2 years old. Both boys. I thought it would be fun to post a day in the life of our home. Our schedule is more of a routine than it is a schedule, meaning we follow patterns over being gridlocked by timing. That said though, there are regular things we do each week and month. This morning both boys were up at 6:30am. I got up and put on praise music, and made a quiche for a ladies’ gathering which was meeting at 9:30am this morning, and heated up two pieces of quiche that I had made from two days ago for the little one and myself. My older son doesn’t like quiche, regardless of what I call it: egg pie, egg cake, egg pizza… he will have none of it. Thus, we all enjoyed hot cocoa and peaches for breakfast, and either muffins or quiche. Then we got on to our morning symposium. 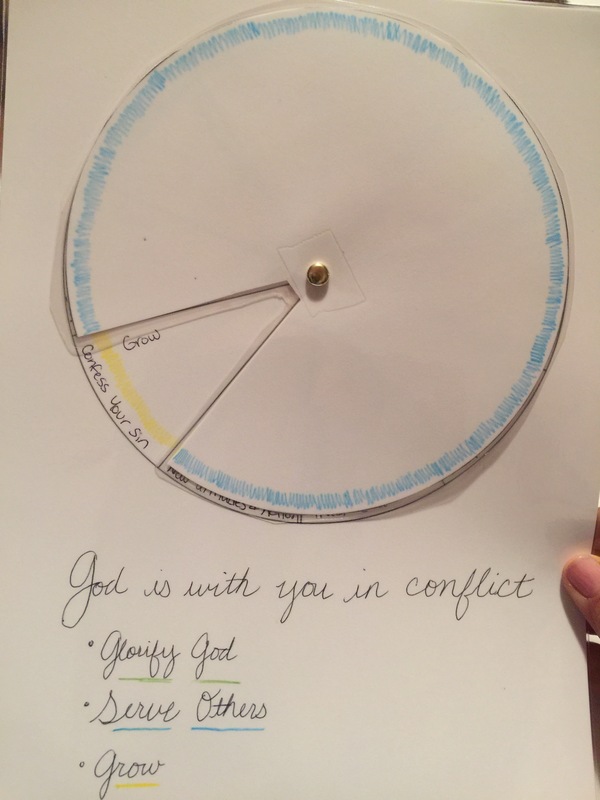 This is our Bible story, and as of right now, a Young Peacemaker’s “sliver” of a lesson. We are reading from the Bible I had growing up, because my oldest son is finally ready for this one. It’s Paul Hamlyn’s Children’s Bible in Color. I say we do a sliver of a lesson in Young Peacemakers, because that’s our attention span right now. 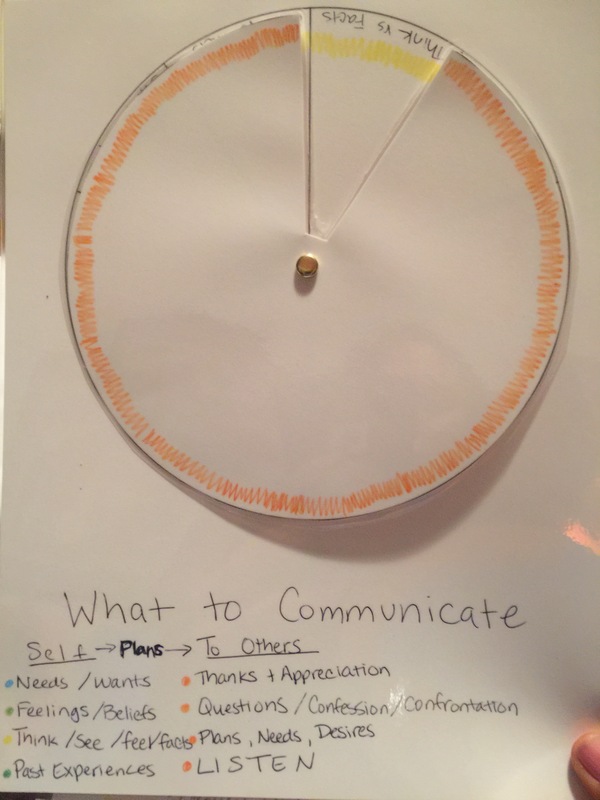 My son is fully grasping the concepts, however, so I am grateful that I’m meeting the purpose instead of feeling some false external insane time-bound pressure. Right after our Bible time, we go on to our reading lesson in “Teach Your Child to Read in 100 Easy Lessons”. I wrote about how we do this reading lesson here, but I will add that I started numbering the lines of the long stories. It puts my son in control of his ‘reading guide’ and enables him to have the book right in front of him instead of closer to me. As I become more pregnant, I am having trouble scooting up close enough to the table anyway. After reading, we do math. We are using Singapore Math Kindergarten Book A. At the time I didn’t realize I ordered the Common Core Edition. I don’t think there’s any difference between regular Kindergarten math and common core kindergarten math, though, so I don’t mind. My son does well in math, so lessons are quick. I do the book more so he can practice writing. We don’t do formal writing yet, for many reasons. After that, I consider it break time. During that time, the little one who is 2, is either running through the house, or sitting down with his own drawing notebook (a composition book) to draw, scribble, paste and do dot art. Every time he sits down to draw, I write a ‘the next’ capital and lowercase letter on the page, so when we go back through his notebook to admire his drawings we can practice the alphabet. Today we headed out to a Bible study. The kids play and the moms get some much-needed reflection time. Some moms bring a treat to share. Like I said, I brought quiche. Our whole morning lesson took an hour. Sometimes if my son is really focused, it could be faster, but we’ve literally covered the core pieces that I care about already, all before 9am. It took me 15 minutes to rally them into the car and do a double check that I had all the items I needed to lead the study, bring the quiche and plates/cups etc, and diapers/wipes, etc. I should pack the diaper bag the night before every night, but sometimes I’m tired. We got there on time, and I find these women revitalizing and enjoy their company. What a blessing they are to me! We left at 10 after noon after helping clean up toys a little and picking some fresh lemons from the hostess’ tree. What a fine treat!! On our 11 minute drive home I caught up with a friend, and lagged in the street talking because my tot fell asleep in that short time. We had to try nap time twice today. But in-between nap time, I fed this crew some Annie’s mac and cheese mixed with last night’s fresh lemon cilantro parsley zucchini and carrots – mac and cheese day is an indulgent treat. During our lunch, we reviewed our new material for Classical Conversations (CC). It took only 10 or 15 minutes to do that. Feeling big and pregnant, I let us watch a show. It was a lovely show about house cats that we found on Netflix. Then we read stories, and tried nap time again. Nap time didn’t work. So we got up, my tot decided to go #2 in the potty for the 2nd time (yay!!!). Then we played stacking cups which is just making towers out of solo cups. We also played the old game that magicians play sometimes, where you hide something under a cup, and rotate three cups around to try and guess where it is in the end. <— these two games make great CC review games by the way. We tried balancing cups on our head and walking while reciting our math squares song for CC. This is how I fit CC into our day in a fun way. I’ve found that every single game under the sun can be a CC game. A few times doing this, and my son will have the whole week down. He already knows the science for this week, and I didn’t feel like I really taught it to him. Part of his knowledge comes from the books we choose. I’ll post another reading haul again in a few days, for Cycle 2 Weeks 9 to 12. I also put on CC music during my older son’s rest time, but it’s mixed in with about 2 hours of other music too. Much of that music is Bible verses sung outloud to beautiful music, and then your standard Kindergarten music. Also in that mix, is relevant Story of the World chapters. After that, I put the tot on my back for a piggy back ride and played chase older brother through the house. And then older brother decided he’d delight me with brushing my hair. How wonderful! We also rehearsed our notes rhymes that tell us how to memorize the notes on a staff line while we played. This is our homeschool day! It’s as simple as that, and it’s fun! If you’re thinking of homeschooling, don’t let anyone intimidate you away from it. Homeschooling is awesome. It gets more complicated as children get older, but that’s why we start young. Just remember to keep it fresh. That’s our day today! On other days, we’ve followed similar routines, but portions of the day may be pushed later in the day because we’ve gotten an earlier start. And often on those long days, I’ve plunked my kids in a loooong bath to decompress… to the tune of an hour long pruney-fingered dunk. I hope this encouraged some of you to keep it simple, and take it slow! Do what your children need, and put God first. We have enjoyed learning how to read, and my son is doing really well, even though it’s the hardest thing we do all week. 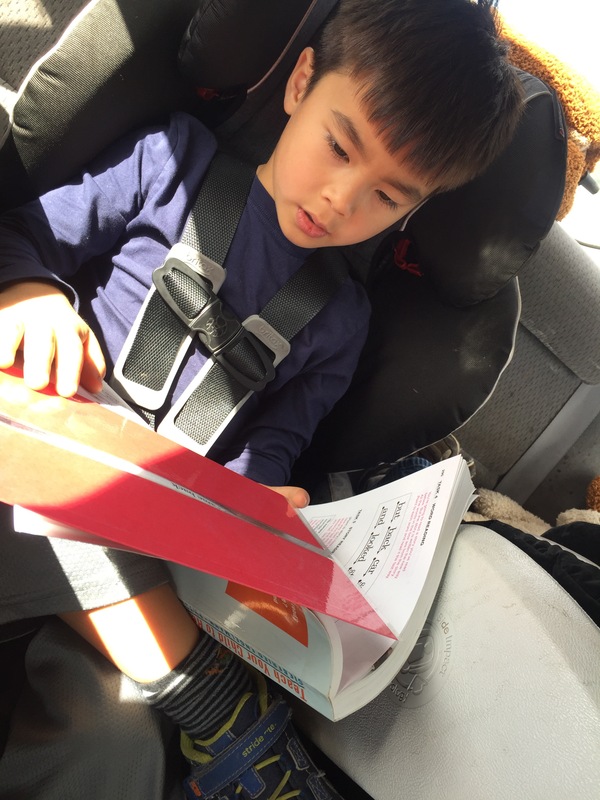 Once we mastered phonics, which we started after my son learned his letters, we started “Teach your child to read in 100 easy lessons” (“100”) by Siegfried Engelmann, Phyllis Haddox and Elaine Bruner. This year, he’s old enough to participate in the “Book It” program from Pizza Hut, which give his extra incentive to do twenty reading lessons a month. We started this “100” book when my son was 3.5 years old. We just did one lesson a week then. This year, at 4.5, we decided to do one lesson a day. We just finished lesson 75, so I another five weeks we can close another chapter of this story, and move on to first readers. My son can read first readers, so sometimes we do that anyhow, but I really like the systematic introduction of reading in the “100” book. I thought I’d give you some reading pointers that have helped my son a lot. Sing a tune that teaches phonics. Leapfrog sells phonics toys that say “a says a, and a says a, every letter has a sound and a says a”. Reading readiness for children becoming verbal (they mimic your sounds). Continue singing everyday. It uses a different part of the brain than talking. Use alphabet flashcards and just go through them once a day. As your child is becoming verbal, ask them to repeat the letter name after you. Make letter crafts. You can google letter crafts for every letter and find the cutest letter crafts! They only require construction paper, scissors and glue. Embellish these however you wish (or don’t, haha). Start asking your child to pick out the right letter when you place two or three cards in front of them. I use this technique for everything I’m teaching kids at this stage, because they know far more than they can speak! Use ASL sign language as you sing if you know it. Or learn it. It’s easy. Reading readiness for verbal children (kids who can say simple sentences) who know their phonics. Start putting two letters together for your child and making up nonsense words, like “ba, ma, ta, da”. Work on rhyming words together like “bat, mat, at, sat, cat”. We played with letter tiles that we moved around to make words. Scrabble letters, bananagrams, and the logic of English tile letters have been useful for this activity. We also have letter die cutters he likes to use, which are useful for developing hand strength. We finger tap syllables out loud at this stage too. That’s a tool I learned from a veteran homeschooled who had a lot of experience working with her boys with special needs. Look her up. I greatly admire her: Randi St. Denis. She’s responsible for starting and running the Southeastern Homeschool Expo – this is still my favorite expo by far. I’ve been to expos in the South, North, and Western parts of the United States now. Do reading lessons daily. My son will be 5 this week. We’ve been doing daily reading lessons since he was 4.5 years old, but your child’s age is not the determining factor for reading readiness. I’m just pointing out, that daily practice is appropriate at some point. You’ll find some inertia in your child’s reading ability with daily lessons, which will encourage you both. Do your lessons at your child’s most alert time. But if math is harder for your child, then reserve this energy for math instead – that’s just my advice to you. 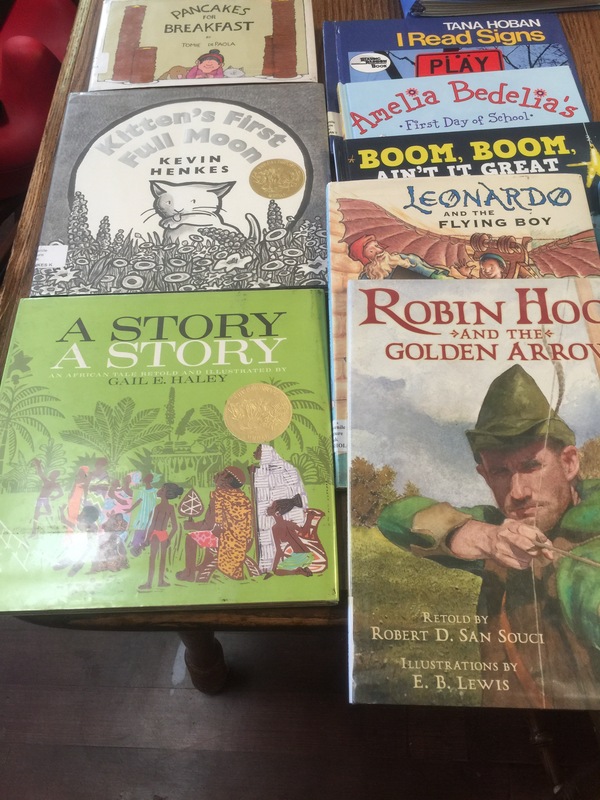 Pick books your child wants to read. Get your child excited about reading through your own enthusiasm and encouragement. Your praise is honey to their hearts! This is true at all ages. Acknowledge when things are hard. If your child is out of brain power, put it down immediately and come back later. Keep reading fun, not punishing. Make the crossover brain connection for your child with “finger tracking”. This is where your child tracks the words he is reading as he is reading. 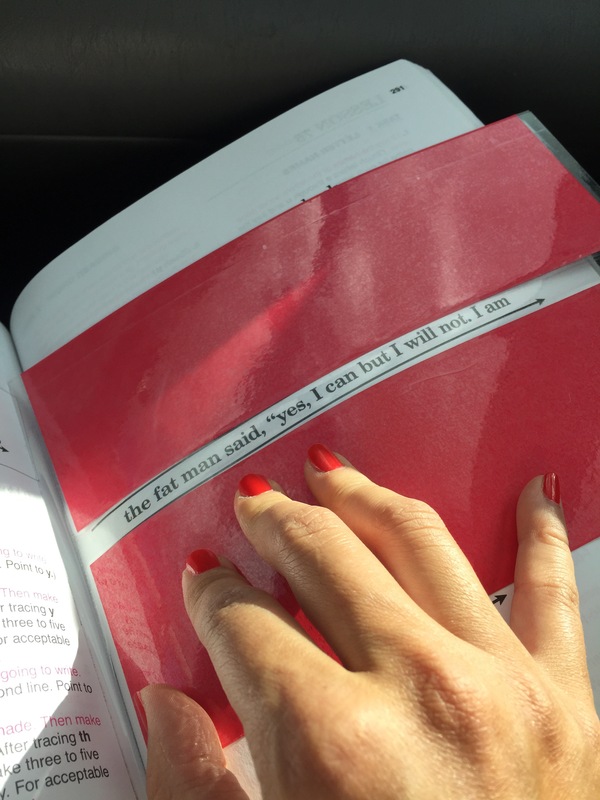 This method is also used for adults who are recovering from strokes when they are relearning how to read. When my child reads letters out of order (which he tends to do), I ask him which letter he sees first. This is usually enough to get his mind to pronounce the letters in the correct order, left to right. When he is reading, I also tell him the English rules that are modifying the sounds of the letters. “There’s an e after a consenant, so the letter o says its own name”. Teach your child the vowels and consenants. When my child is stuck on words, we build them with letter tiles. This gets him right back on track. We made a “reading guide” that covers up all but one line of text. You can purchase these from educational supply stores, but ours was cheaper and just as effective. I used tacky laminating paper, and card stock. 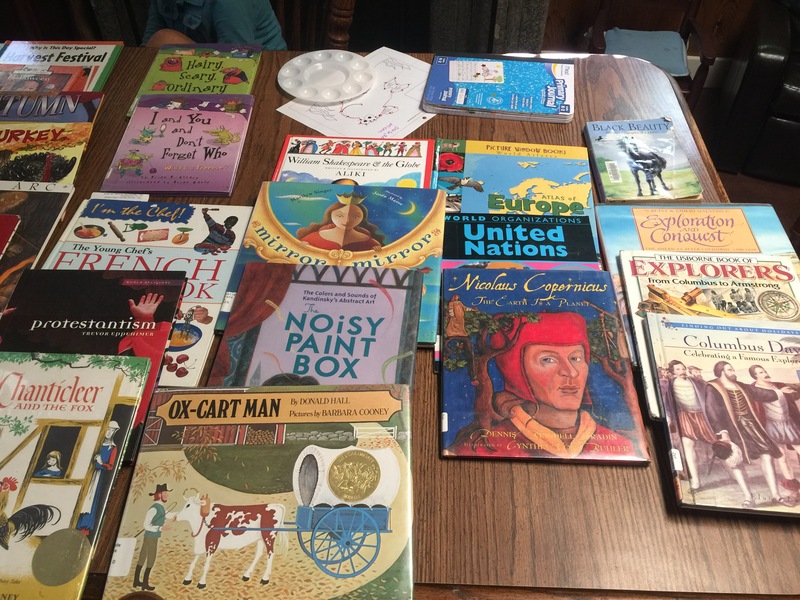 When you’re done with the “100” book, move on to easy readers from the library, and when your child has exhausted these, move up to level 2, and so on. 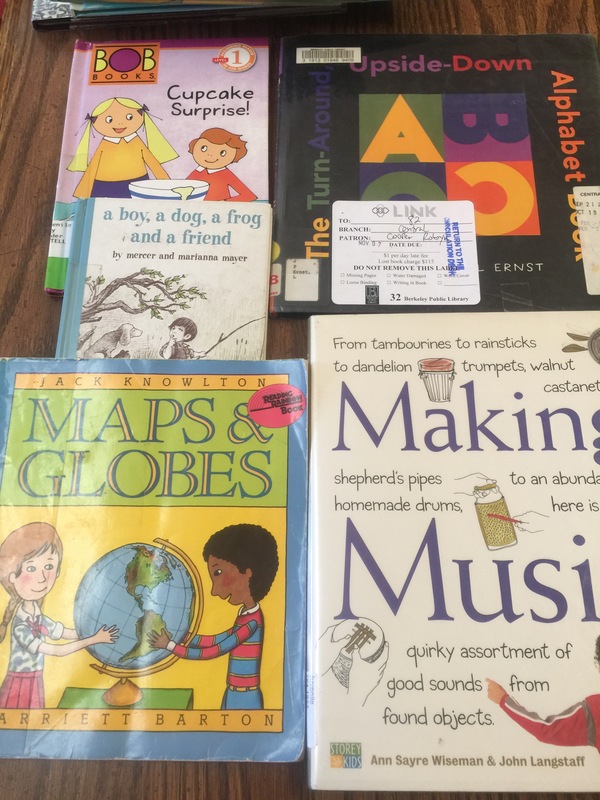 ​Here is a picture of our reading guide. 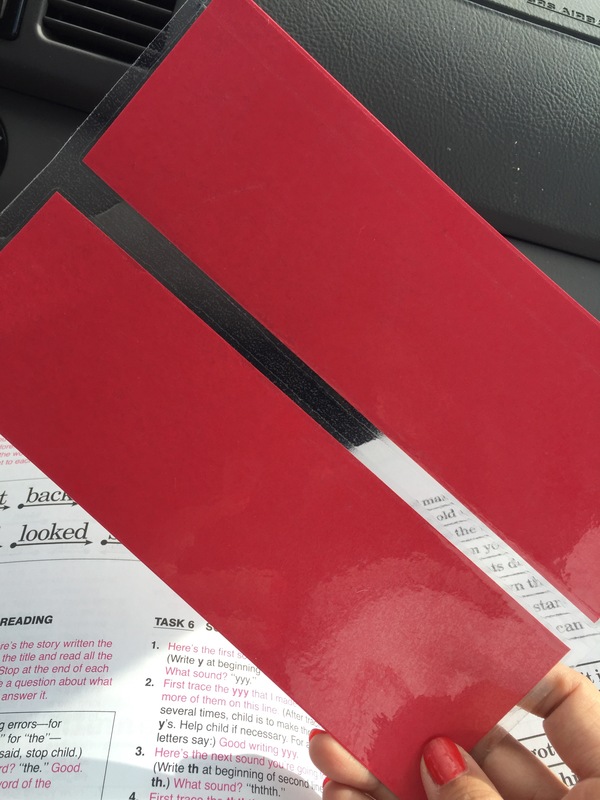 Just card stock and self-adhering lamination paper. I’m sure you could use a regular laminating machine too. Here is my son using the guide. We are “car-schooling”, because we are on a weekend adventure, but are getting 20 reading lessons in this month, which means we need to do this today. Here’s a little video of my almost-five year old reading lesson 75. How well is he doing?! Here’s a bonus idea, which you homeschool veterans have done over and over already. We practice skip counting many ways, but one of them is through manipulatives. 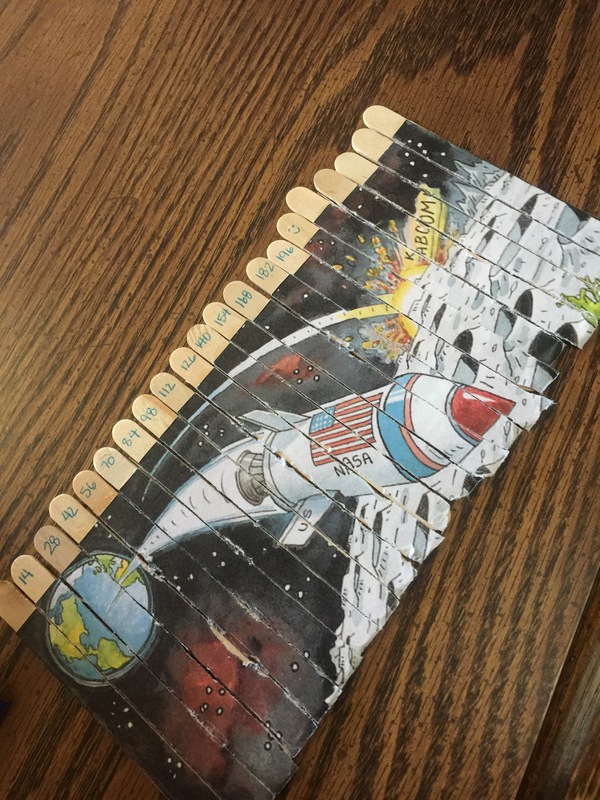 I printed a space image I found online, and just glued it onto popsicle sticks. I wrote the numbers for the 14’s on the ends, and trimmed the image down to fit. I used a sharp kitchen knife to separate the popsicle sticks after all was dry. At first my son didn’t want to do this puzzle, so I told him he didn’t have to and walked away. (Wink, wink). I came back 5 minutes later and he was almost done. He only wanted help with the sticks that weren’t numbered. We also hop on numbers on the floor, and flip numbers over so we can’t see them as we learn them. We practiced a lot of our memory work by hanging upside down this week, inside play tunnels, spinning in chairs, spinning on our feet with arms out ‘all willy-nilly,’ in forts, doing flips and summersaults too. This is perfect for my sensory-seeker. Got to keep it moving, right? And my 2 year old hangs and hops and spins right alongside him, which makes this mama’s heart happy! 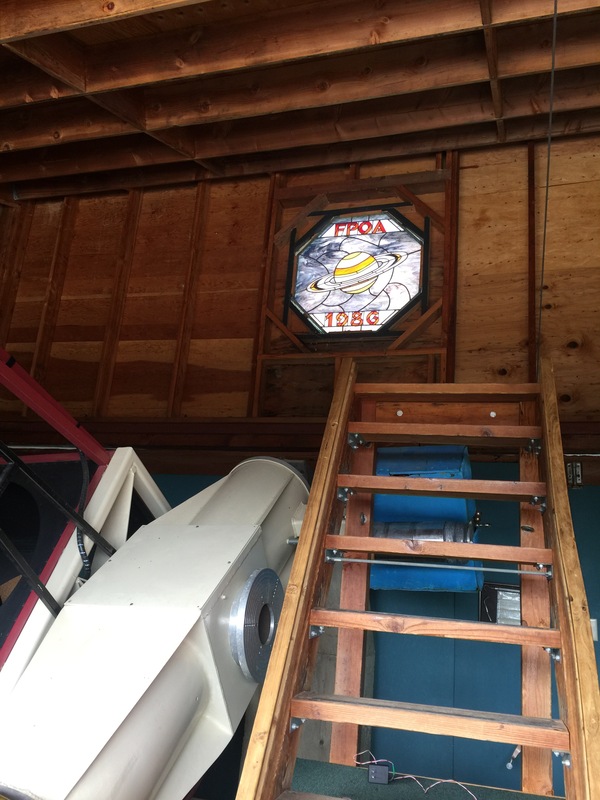 Since we are studying parts of the sun for week 8 of classical conversations in cycle 2, we found a sun program, and a star program to go enjoy at Fremont Peak. 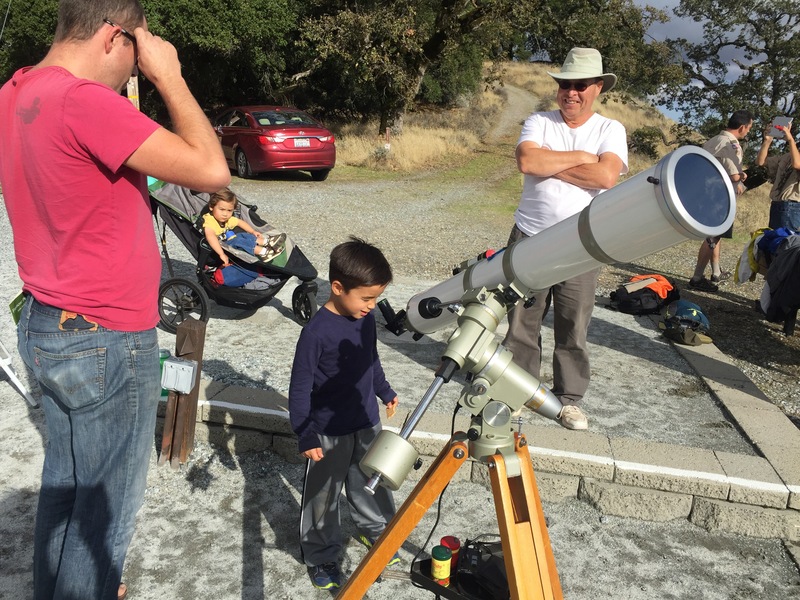 Amateur astonomers volunteer to set up their scopes, or the observatory’s scopes, and happily share their knowledge with you. Firstly, look at the spectacular view we are enjoying! For you CCers, this is definitely a scrubland. The clouds are not our friends when observing the heavens, but they sure are pretty! We also found some creepy crawlers that were entertaining. 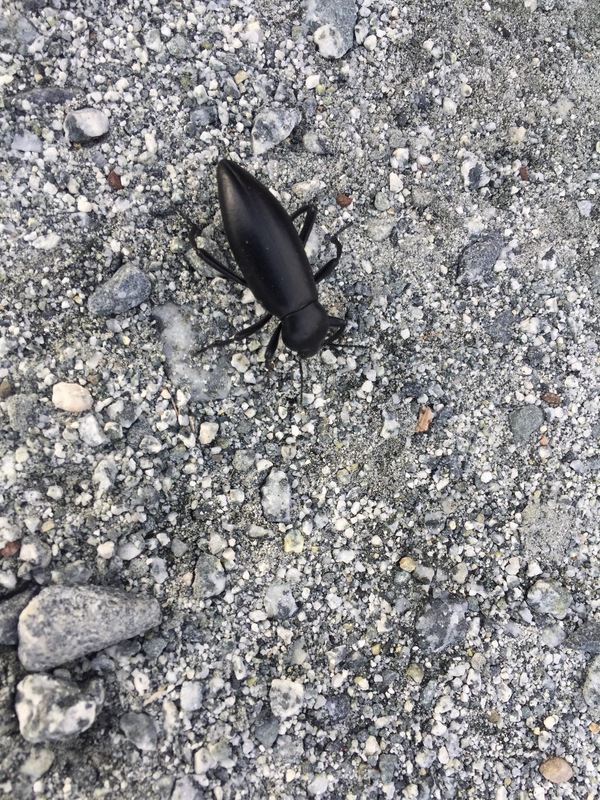 I will load these up to an app so bug-officianados can tell us what we saw. This little obervation station was modest, but holds a much more powerful refractor than we have at home. Of course, the roof opens and then you can see out. Otherwise, the astronomers set their own scopes out on gravel pads outside. I love these weekend adventures because it gets Dad involved and able to participate in what we are learning. We were able to meet Sal (in the white shirt) who told us how sun spots form, and that they usually occur in tandem with solar flares. From that, and some searching online, learned that there’s what is called a sun spot cycle, because there’s a rhythm that God gave their existence too. How amazing is our Lord! 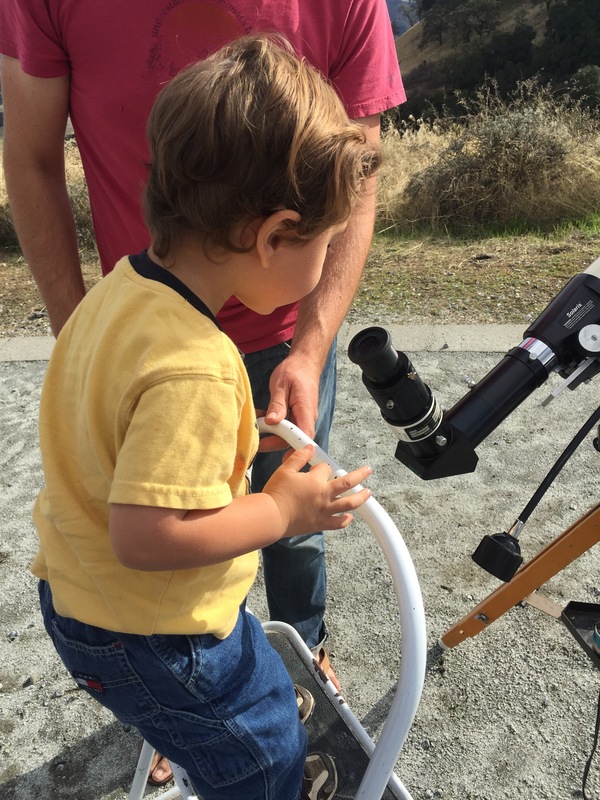 Even my 2 year old understood he was looking at the sun. How cute! 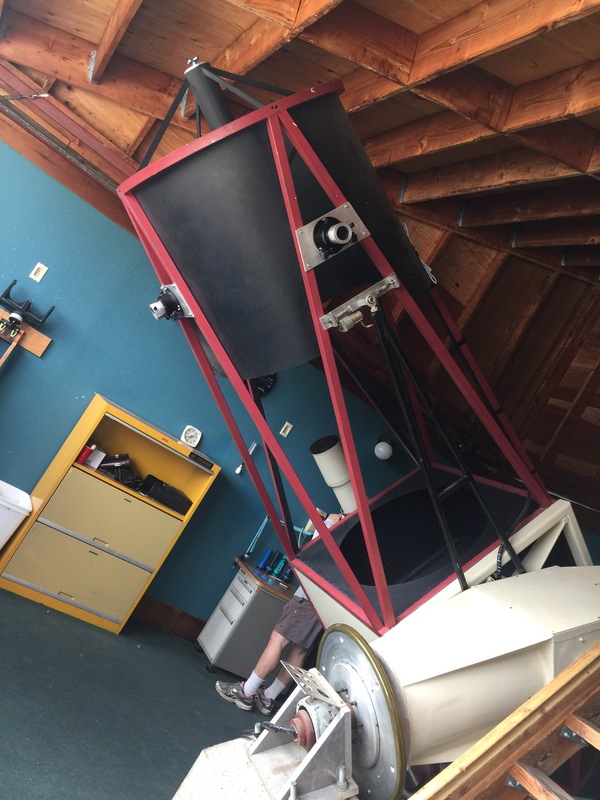 There is a special filter on these telescopes that allow us to safely see the sun. Otherwise, you’d burn your eye and go blind. We got some safety lessons too, and I appreciate when my children hear safety tips from other adults. You know – because children “tune you out” sometimes – because they hear you all day, especially when you homeschool! 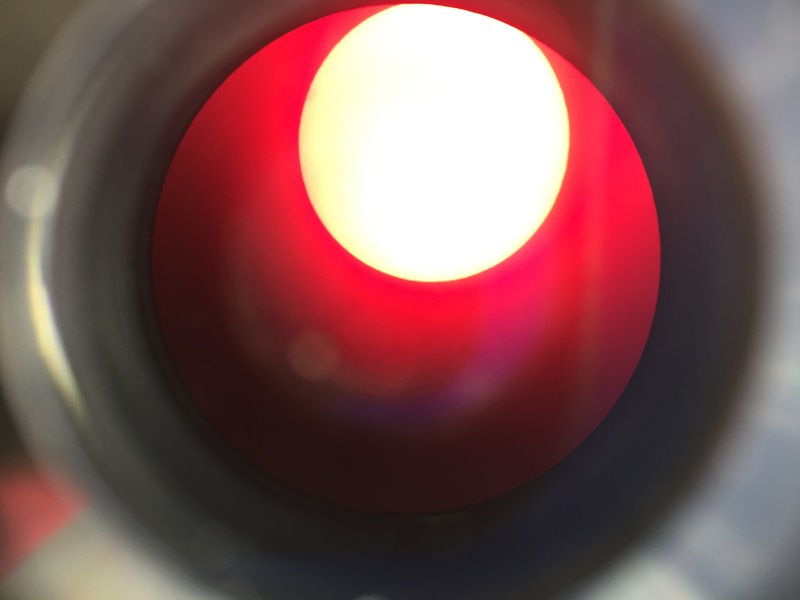 This red image is a picture of what we saw in the lens of the scope with a filter that allowed us to look for solar flares. 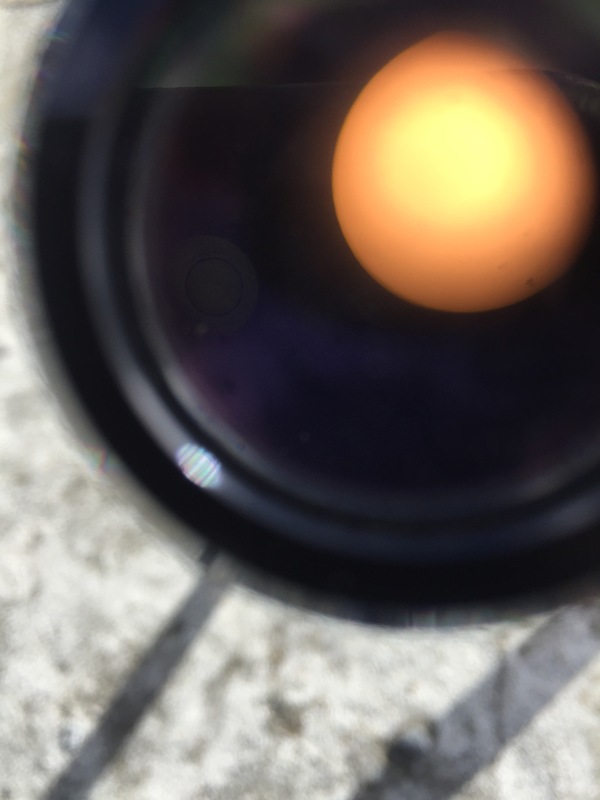 We didn’t see any solar flares, but we did see some texture on the sun’s corona (outer layer) that was interesting, however, barely observable. This yellow image was what you see when you’re looking at a lens with a filter that allows you to look for sun spots. No sun spots were visible today. We drew a sun diagram in the gravel and named the parts of the sun we are learning. We threw rocks into our sun, trying to hit the various spots of interest too. Here you see the sun’s core, radiative zone, convective zone, sun spots (in the photosphere), and corona. We start by making a small ball with our fists. Then we blow “helium and hydrogen” in our hands to make our ball “900 times bigger than the Earth”. For the radiative zone we move our fingers in and out like we are patting glue or paint into a ball – our imaginary radiative zone is larger than our imaginary core so our hands are about a soccer ball apart from each other. For the convective zone we “wave our hands around a ball”, and our hands are about two soccer balls apart from each other. For a solar flare, we pretend like a “fire cracker is shooting off the side of our imaginary sun in the photosphere”. And we move our hands around the “giant circumference of the sun’s corona” in a huge circle mid-air. You get the picture. I hope you’ve enjoyed this post and got some ideas you could try with your kids this year! 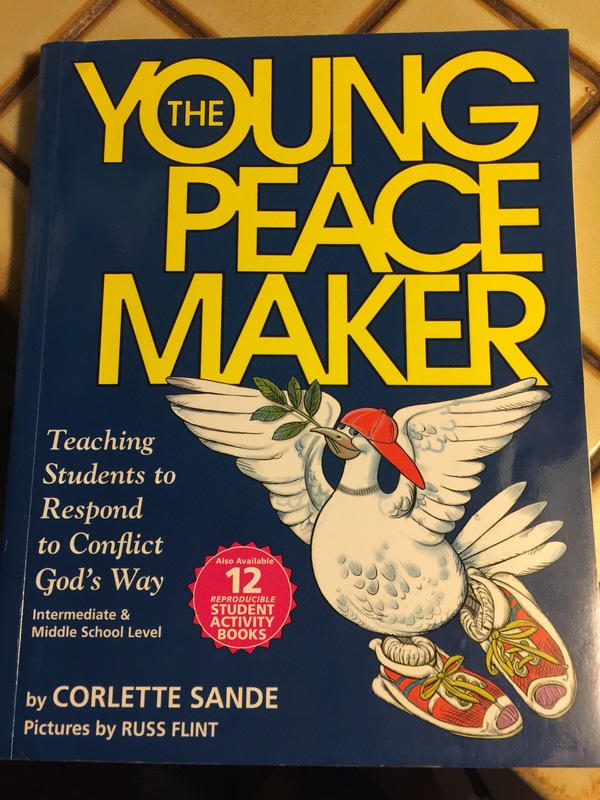 I’m so excited we got the Young Peacemakers book for my rising 5 year old. 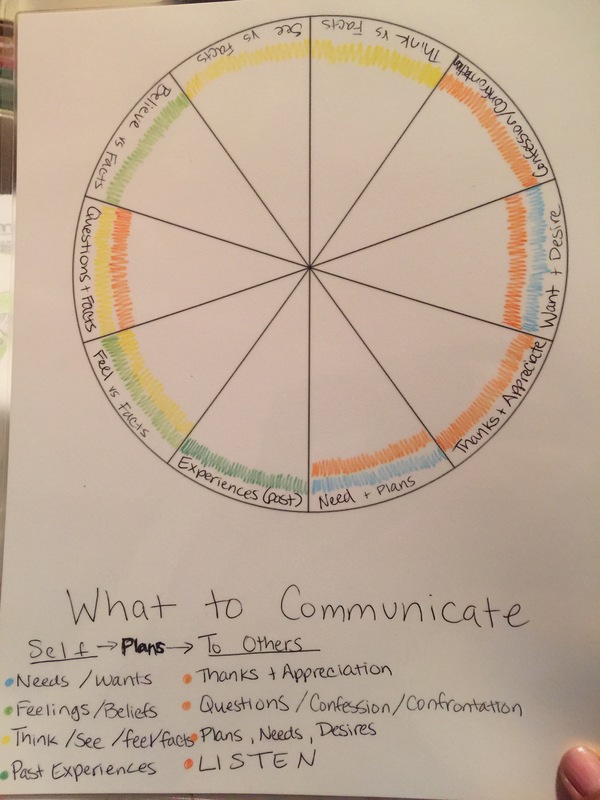 We got it so we could use a common language and framework for conflict resolution, and teach him more about how to correctly express himself without getting in trouble for needing to tell us what he needs. He does a fairly decent job of self-control for a little guy with a hot fuse at his age, but hey, we call need help with self-control and self-expression, don’t we? It’s recommended for 3rd through 7th graders, but if you want to make this book accessible to your younger kids too, here’s how I did it. Of course, you may decide to use a different order – this is just what makes sense to me for our family. Due to the age of my older son, who will be 5 soon, we are learning through games and interactive tools. I have leveraged the book’s tools to make my own ‘manipulatives’. I’ll share pictures of what I created in the order that I’ll be using them. And I’m sure you can figure how to use the book’s images in tandem with the pie charts and brass brads to create your own at home. 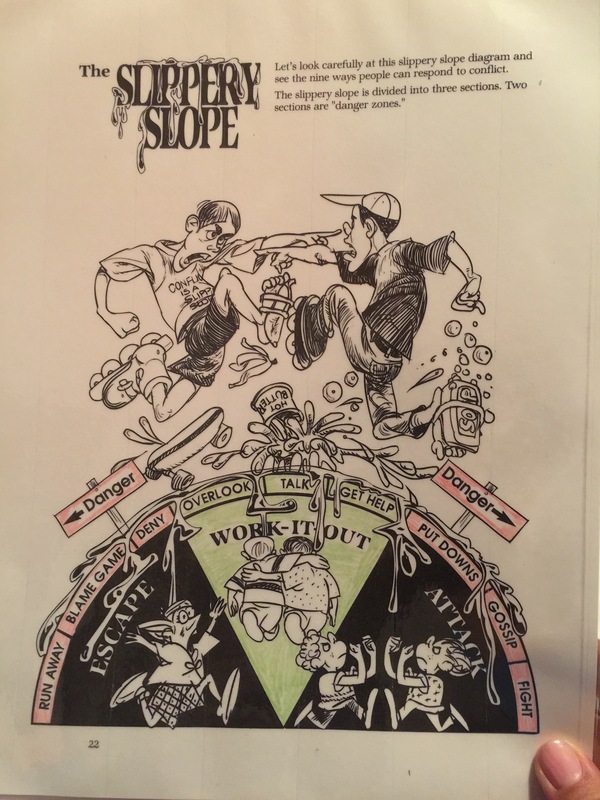 For chapter 1, I laminated the slippery slope after adding a little color to more visibly show my son the danger vs safe responses to conflict. This is hanging on our wall at home for reference now. I also made print outs of the images we found on pages 23-27 that further defines each type of response. We will use these cards to play games, put them in order of the slippery slope, and to test our memory of what the terms mean. We will act out these types of responses, examine the responses of people we read about in books and ponder how the books would end if the characters had responded differently to each other, and certainly use the suggested activities and Bible stories in the Peacemaker book as well. The images below share the same colors I used in the slippery slope above, and are laminated on card stock as well. The backs of the cards have their matching descriptions from the book. I just used a glue stick to glue them onto a rectangular shaped piece of card stock to center the images and words. It’s obvious the lesson lengths are much longer than a 5 year old can take in at one sitting. We will do the whole lesson, but in 3-4 sessions, playing our games in-between lessons. We will also add the corresponding memory verse to our memory work for the weeks we are doing each chapter. Let’s look at what happened together. God allowed this [insert experience] to happen. Then He used it to [insert lesson]. And you showed maturity when you [insert response]. How is that serving your friend? How can you bless your friend? your father? your sibling? me? How can you imitate God? What does the Bible say about [insert struggle]. Does that [insert behavior] honor God? How can you do that better? On pages 47, the book outlines main root desires that cause conflict, and the two kinds of choices people can make as a result of our desires. 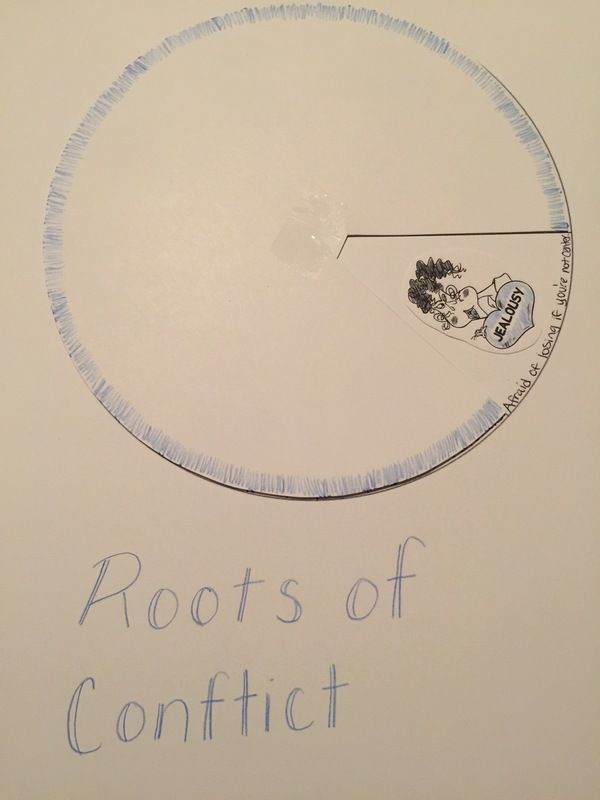 The pie chart below is just so we can review again where conflict comes from and the kinds of choices we can make in response to them. We will discuss at what point we go wrong in our decision-making. We will revisit this again when we talk about chapter 2, but I’m ‘spiraling’ back on purpose to this tool below. 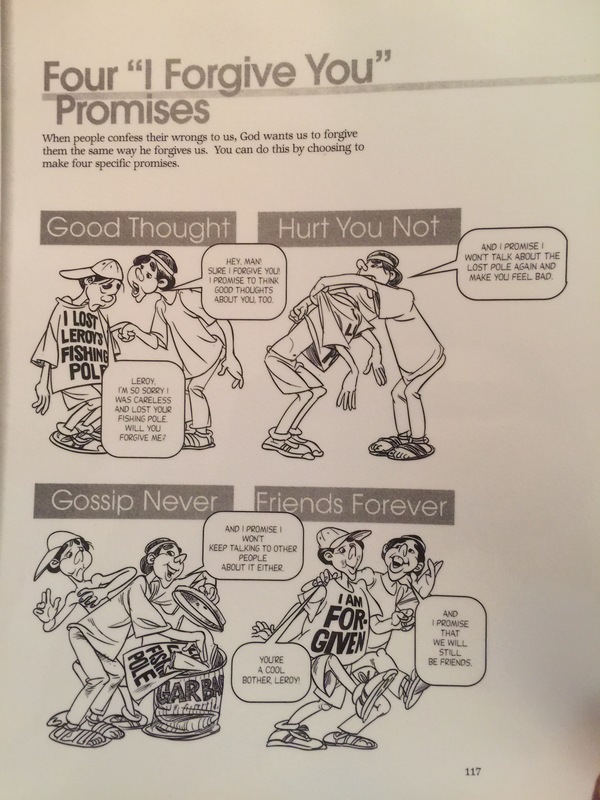 In chapter 8 we look at how to forgive. We will memorize this simple poem below: good thought, hurt you not, gossip never, friends forever.” And my son can color this page if he wants with wipe off markers. Chapter 8 really does a deep dive into the falsehoods of forgiveness, and how it looks different in God’s economy: what it really looks like to fully forgive someone, when to forgive, and the why’s and how’s of forgiveness. This is a chief lesson of life. I wanted to hit this lesson sooner rather than later. 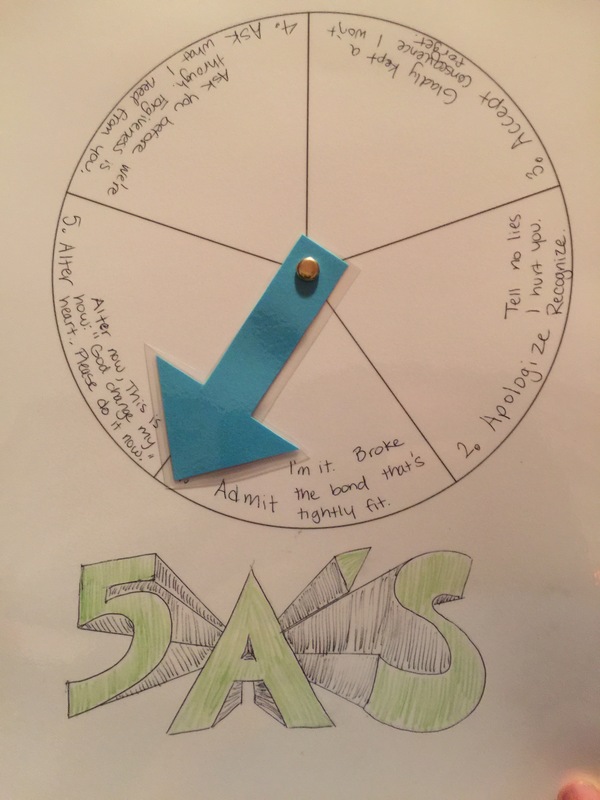 In chapter 7, we will use a spin dial to work our way around how to really forgive someone else properly, and make sure we’re addressing the three principles of forgiveness: repentance, confession and forgiveness which underlie the steps outlined below. We will use this tool again and again until we’ve got it down. And now we are ready to back into the rest of the meat in more depth. We already understand choices have consequences in our home, but we will visit this again in chapter 3. I didn’t make a tool for this chapter, but we will really review the concepts on page 54: the lists of consequences for wise vs poor choices. 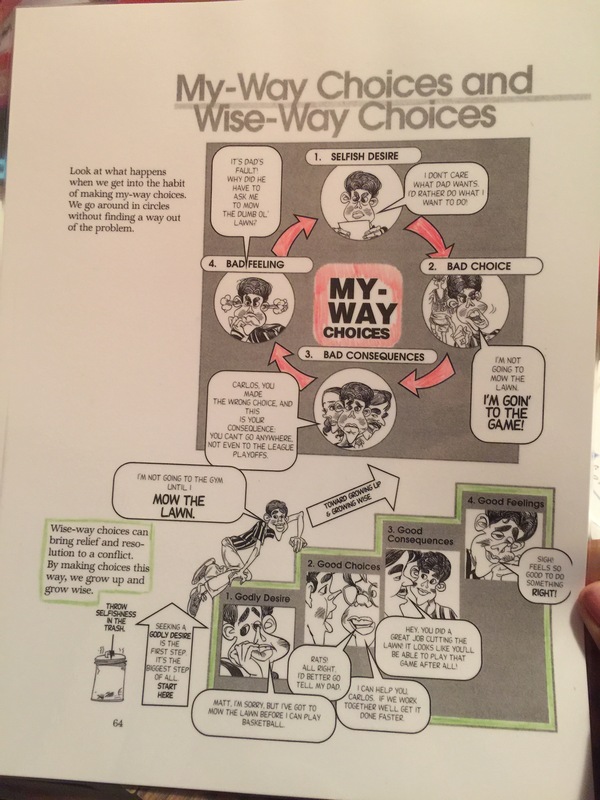 Then we will discuss how to make wise choices in chapter 4. This chapter reinforces chapter 3 quite nicely. From chapter 10, we will learn how to think before we speak. This is my favorite lesson from the book! 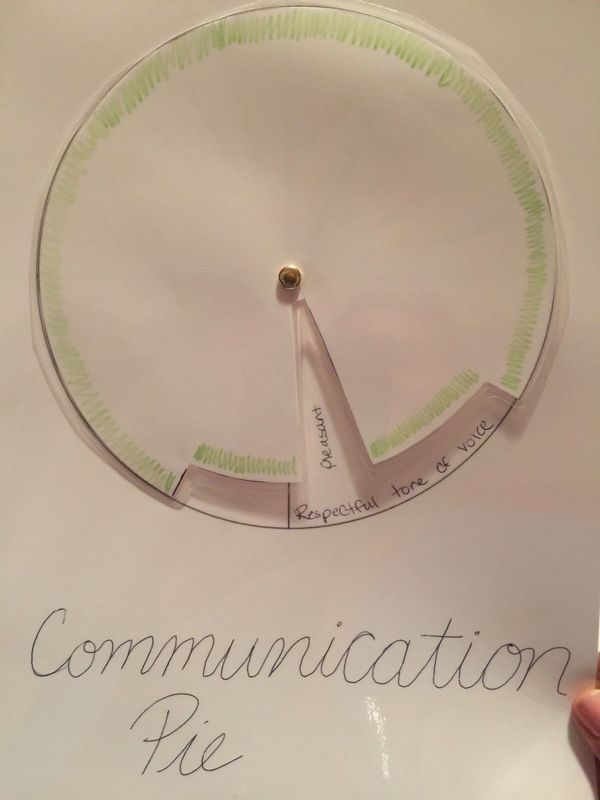 When we’re over the heated emotional part of conflict, we’ll go back to work our way through this dial below. As you know with young children, you have to ‘bring the temperature down’ before you can have any real conversations about what happened and how they are feeling. We separate and calm down before we examine and talk about how situations could be handled with more gentleness, wisdom, and kindness in the future. 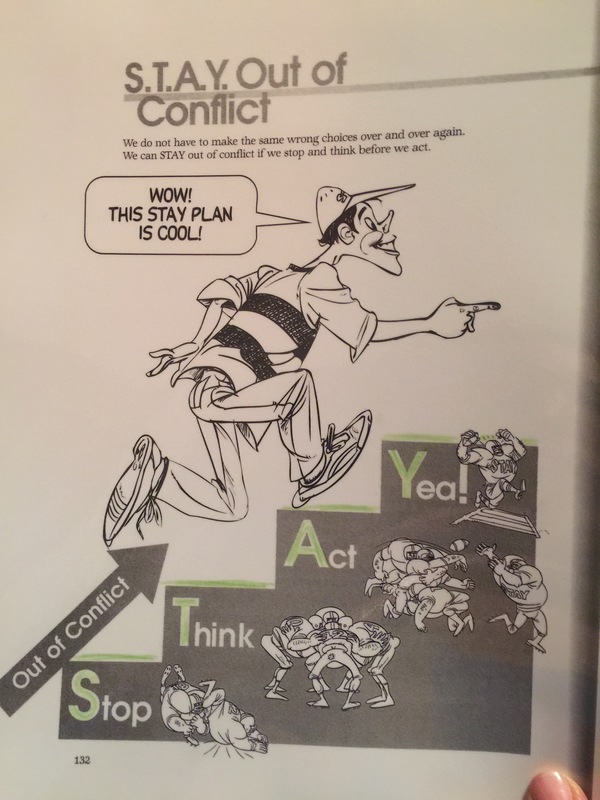 We will finally go back to chapter 2 to look at what causes our conflicts. In chapter 9 we can discuss how to make different choices, and we’ll add this to our layers of learning when we’re responding to problems. We’ll brainstorm how we could have avoided that particular conflict in the future, and problem-solve together to prevent more occurrences like the one at hand. 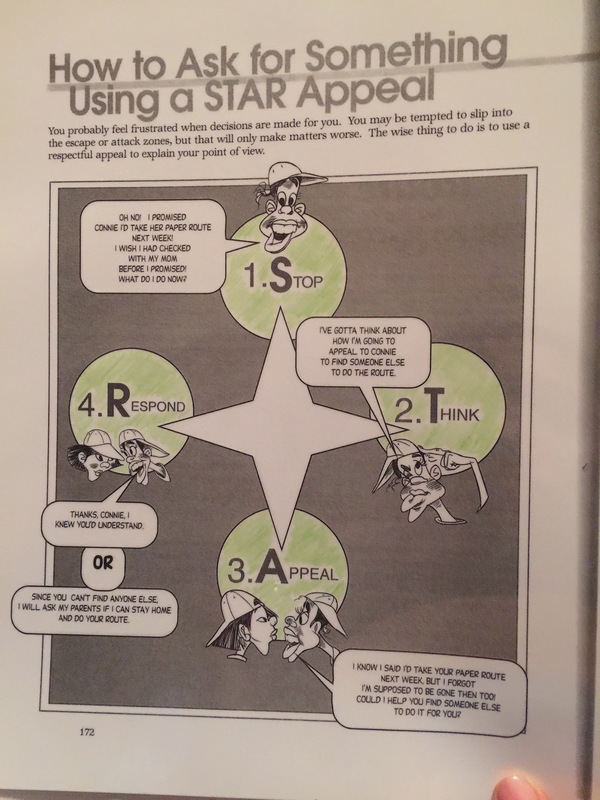 And finally in chapter 12 we will learn how we make a respectful appeal. We’ll learn what an appeal is, and how and when to make one. We can practice by making mock situations, or if we come across a real instance when it’s appropriate, then we will be well equipped. This book has a lot of depth for a 5 year old, and even for a 9 year old. We will most likely revisit this book every 2-3 years or so for reminders, and for the next child of mine up and coming to this age. I’m glad we now have a framework for conflict to use in our home. What we did prior to this was similar, but had a little less structure because it was more appropriate for a younger child. 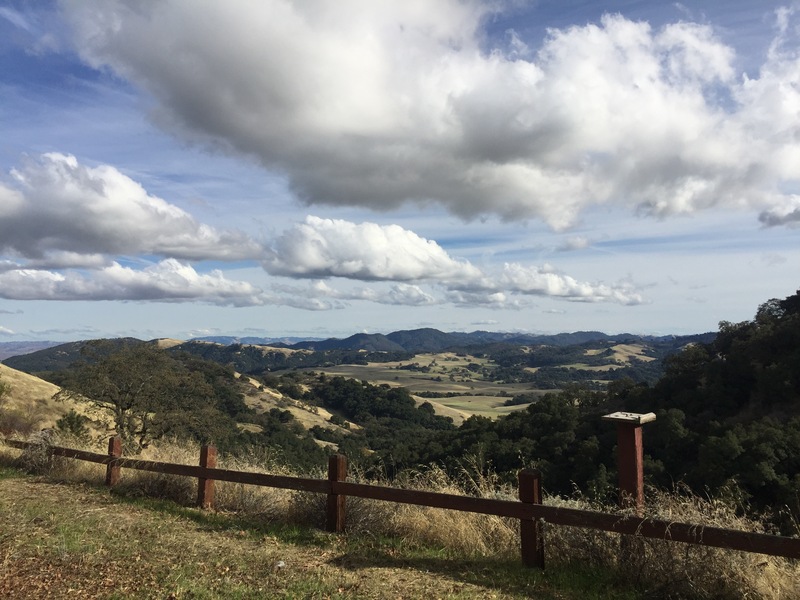 Now that we’re getting into higher cognition and awareness, we’re addressing the heart issues more and more, and training my older son how to ask God to examine his, and request changes from other people. Classical education calls for defining grammar first, then application and finally self-expression. That approach may help you see why we focus on definitions and memorization so much. To ensure mastery of this topic, before we move from lesson to lesson, I’ll make sure my son can tell me the various steps, lists, or attributes from each major category we’re studying. 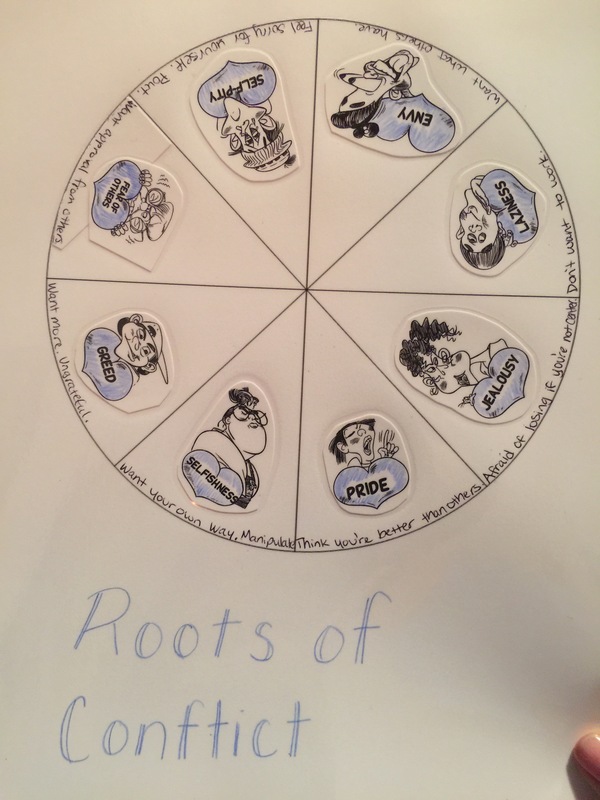 We memorize through games, stories, pneumonic devices, song, and movement. (Believe me, his power for memorization is stronger than mine. I’m studying the skill of memorization right now through two books, just so I can keep up with him!) Then, when we’re applying the terms to real situations we will have agreed on a basis for the conversation, a method of assessment and some pathways to resolution. Hi, my name is Robyn and I have a problem. The first step is admittance, right? The first two pictures correspond to cycle 2 in CC, weeks 5-8. 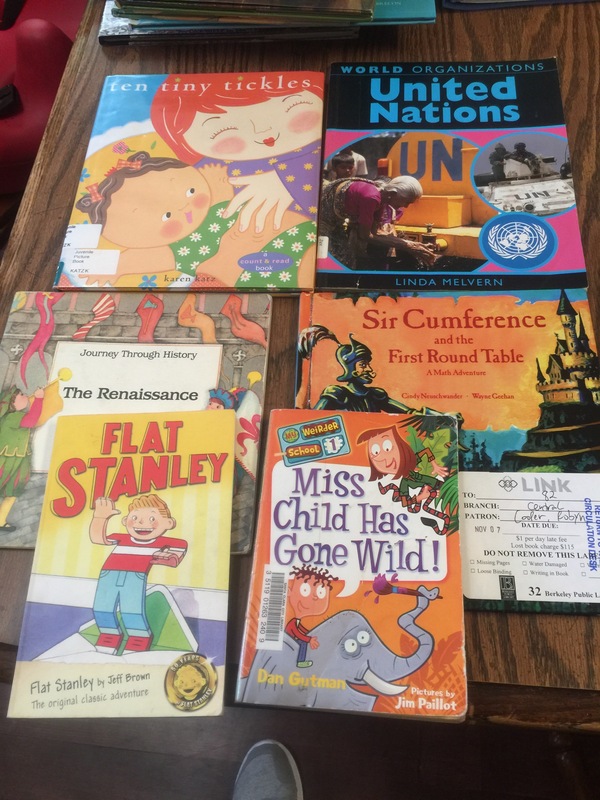 The rest of these are wonderful kindergarten reads. 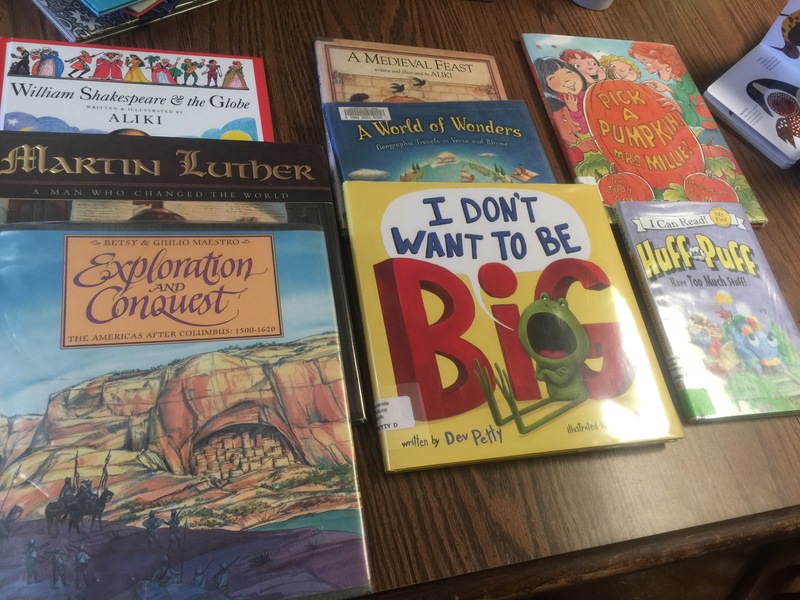 With a few mixed in for my toddler and some stragglers from the CC weeks 5-8 library haul.